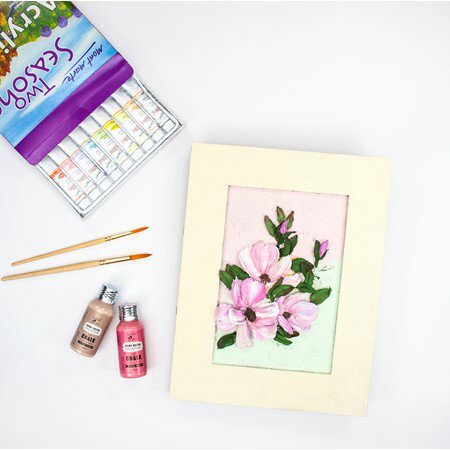 Join her workshop to an extremely interesting and artistic challenge painting and loads of newly learnt skills. 1. How to create dimensional flowers using various techniques of sculpture painting with Little Birdie’s newly launched sculpture paste. 2. Skills of handling dimensional flowers in different angles with a palette knife, sculpting paste and chalk paints. 3. Techniques of handling and finishing your project with a special paste in different colours, meant for the purpose. 1. Unique handmade sculpture paste home decor piece.